We hear all about the dangers of Lyme disease but do we really know what it is? We’ll discuss everything you need to know about Lyme disease including what it is, who is at risk, how you can prevent it, its symptoms and more. 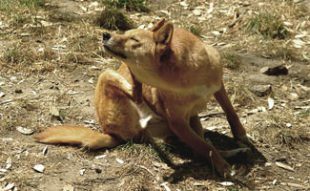 Read on to learn about Lyme disease in dogs and humans. If a tick bite becomes infected it can turn into Lyme disease. The bacteria responsible for Lyme disease (Burrelia bergdorferi) is often carried by ticks and is transferred by bite into the bloodstream. Dogs, cats and people are all at risk of developing Lyme disease. You cannot get infected with Lyme disease by touching your pet. You can only get infected through a tick’s bite. Ticks are commonly found in all grassy, wooded or sandy areas so avoiding them is difficult. Is there a vaccine for Lyme disease? There was a human vaccine for Lyme disease until 2002 when it was discontinued. There wasn’t enough demand for it. There is still a vaccine for both dogs and cats though. You can get your pet the Lyme disease vaccine but there are still other precautions you should take. You should check your dog for ticks after hiking or any other outdoor excursion. Be sure to protect yourself as well though and wear a pair of gloves and long sleeves. Ticks can vary in size so look carefully and remove any you find with a pair of tweezers. Think your dog might have Lyme disease? 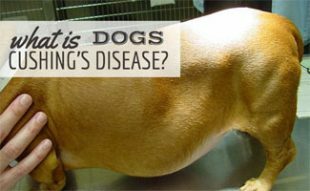 Here are some symptoms of Lyme disease in dogs. 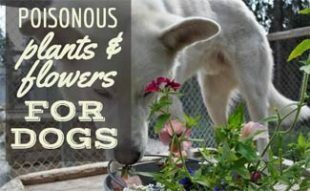 To see what your dog may act like if he has Lyme disease watch this short video clip. However, symptoms of Lyme disease in humans are different. The infection typically presents itself within 3-30 days as a bullseye looking rash on human skin. People may also have difficult walking as if they are “walking on eggshells” and other limbs may be effected. Antibiotics can be used to help kill the bacteria that causes Lyme disease. 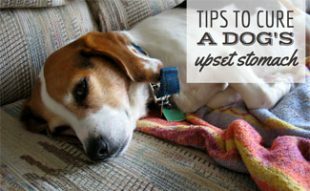 Lyme disease in dogs treatment is a long process and sometimes the prescribed antibiotic has to be changed because the bacteria can become immune to certain medications. How Much Does it Cost to Treat Lyme Disease? A long treatment sounds pricey, doesn’t it? Antibiotics aren’t cheap and in some areas, a 2 week supply can cost $400. Blood tests are also needed which are about $80 and an exam fee can be $40 or more. How can you reduce these costs? Consider pet insurance for this or any potential emergency you and your pet may happen upon. So long as it was not a pre-existing condition, pet insurance companies will pay for treatment medications, blood tests and potentially exam fees. 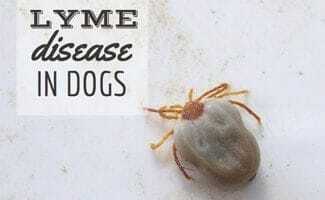 Are you worried that your dog has Lyme disease? Thanks for explaining that Lyme disease is not passed through touch but by the bite of a tick which can be found in grassy, wooded, or sandy locations. With that in mind, I will make sure that the grass in our lawn is free of this pests to stop the spread of this disease. Our dog just got sick this morning, and we’ve noticed that he has ticks in his body. So we plan to get him checked by a vet to see if he is Lyme disease positive. Thanks! I stopped getting the vaccines for my dogs because they all still got lyme disease regardless of getting the vaccine. Just a waste of money and putting poison in a dog for no good reason. Vaccines do not work, don’t waste your money and poison your pets.